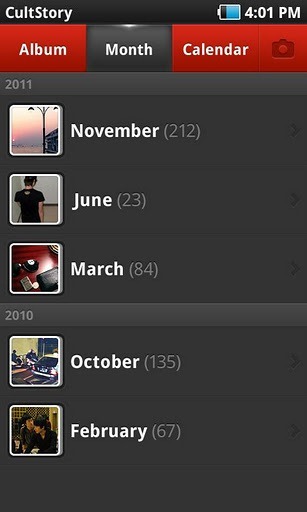 Looking to provide users with an alternative to Android's stock Gallery app, CultStory recently introduced Photo Calendar, an app which organizes all the photos on your device according to date (with custom album options). 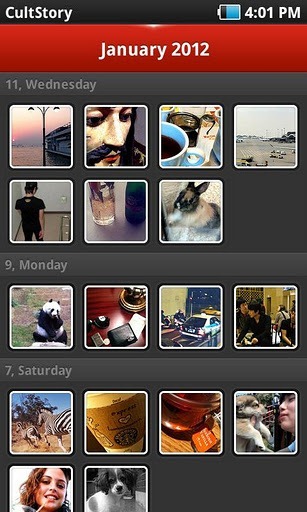 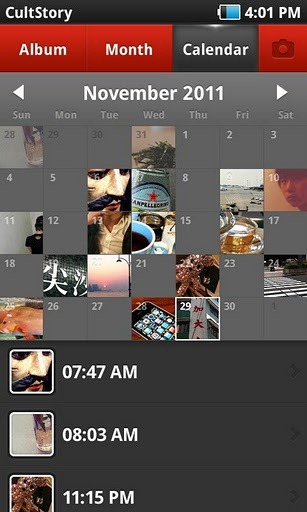 Utilizing Photo Calendar's no-nonsense interface, users can browse their photos using album, month, and calendar views. 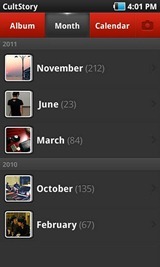 The calendar view is particularly handy, displaying photos for each day of the month, and even detailing what time each image was captured. 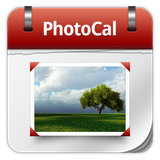 Photo Calendar also includes intuitive, easy to use "share" functionality, allowing users to share photos via messaging, Picasa, or a variety of social media services, just like Android's Gallery app. 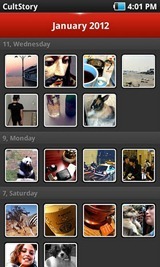 In addition to all that, the app is totally free from the Android Market. 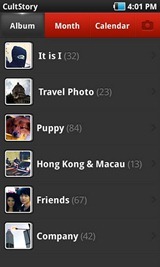 While its functionality has a while to go before I could consider it a full-featured Gallery replacement, it's a great concept, and definitely worth checking out.